At Phonics International we offer our customers state of the art e-commerce security. All credit card and debit card transactions on our shopping area are protected so you can relax and enjoy the on-line shopping experience. Phonics International’s legal jurisdiction is the United Kingdom. By information we mean information about you collected through our Service/Product website(s), including your email address and other information you provide to us by registering for our services or making requests for information about our services. Any information provided to us will be retained and used solely for the purposes of fulfilling your request for information, fulfilling a request through a site feature, performing and carrying out the terms of the Service or supplying a product, or communicating with you as a customer and/or a member of the Service. Registration for the Service is not required to simply view the Site. 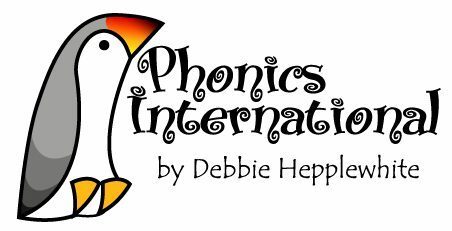 If you elect to register for the Service, Phonics International Ltd asks you for information that enables us to provide the Service and/or supply the product. You will be registering your details with Phonics International Ltd on the form provided and such registration may require you to provide contact information such as your name and email address. An IP address is a number that’s automatically assigned to your computer whenever you’re surfing the web. Web servers, the computers that “serve” web pages, automatically identify your computer by its IP address. Phonics International Ltd collects IP addresses for purposes of system administration, to report aggregate information to third parties and to track the use of the Site. When visitors request pages from the Site or click on a link in a mailing sent through the Service our servers log the visitors’ IP addresses. We reserve the right to use IP addresses to identify a visitor or list member when it will enhance the users experience or if we feel it is necessary to enforce compliance with the Site’s policies or to protect Phonics International Ltd, the Site, its visitors, the Service, our Internet Service Provider partners, the list members or others. Phonics International Ltd reserves the right to disclose member information in special cases when we have reason to believe that disclosing this information is necessary to identify, contact or bring legal action against someone who may be causing injury to or interference with (either intentionally or unintentionally) Phonics International’s rights or property, other visitors, list members, or anyone else that could be harmed by such activities. Phonics International Ltd also reserves the right to disclose visitor or list member information when we believe in good faith that the law requires it. Based upon the information you provide us, we will communicate with you in response to your inquiries, to provide the products or services you request, and to manage your account. We may communicate with you by email or telephone. The security of your information is important to us. When you enter sensitive information (such as a credit card number) on our payment forms, that information is encrypted using Secure Socket Layer (SSL) technology. Protecting the security of your personal information is very important to us. When we store information that you have provided when registering with us, that information is protected by security measures that include “firewalls” (a combination of computer hardware and software that helps keep unauthorized visitors from accessing information within our computer network), “intrusion detection systems” (a combination of computer hardware and software that helps detect any unauthorized visitors) and other tools such as data encryption and physical security, where appropriate. Unfortunately, no data transmission over the Internet or data repository can be guaranteed to be 100% secure. As a result, while Phonics International Limited strives to protect your personal information and privacy, we cannot guarantee or warrant the security of any information you disclose or transmit to us online and cannot be responsible for the theft, destruction, or inadvertent disclosure of your personal information. All products will be shipped within 7 days via the most appropriate courier service.